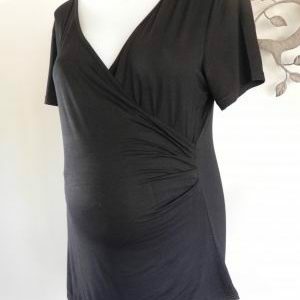 A gorgeous little black top by Ninth Moon maternity. It is new with tags. The fabric is a very soft stretchy jersey blend and the top crosses over at the front. 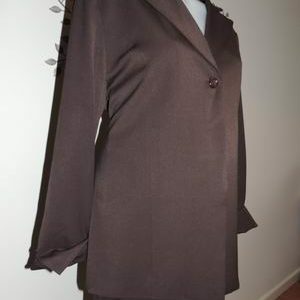 It has short sleeves and is a very flattering fit. The main feature of this top is the gorgeous beadwork on each shoulder. The beads are a bronzey black. Be the first to review “NEW Black Crossover Maternity Top with Shoulder Embellishments” Click here to cancel reply.